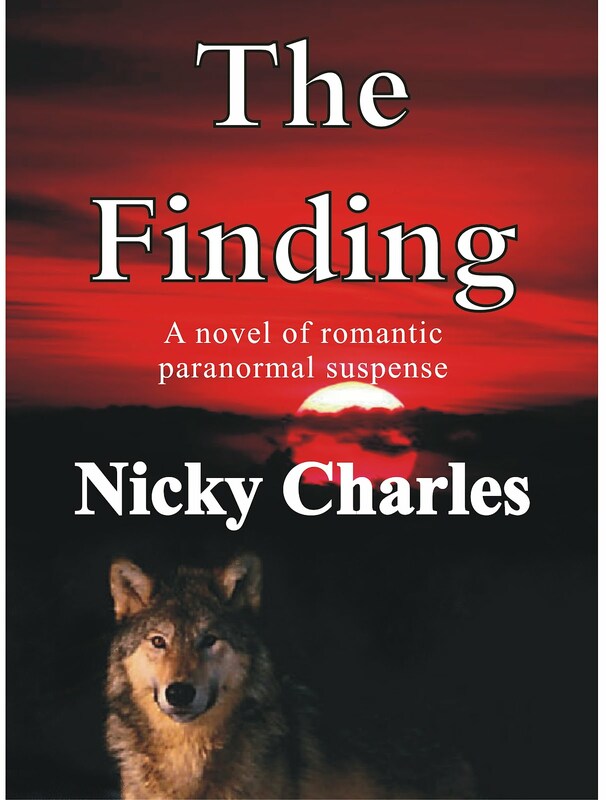 Nicky Charles is one of the most popular authors at Smashwords and at our retailers, yet she won't show up on any bestseller lists. At the Apple iBookstore, her four books have earned nearly 25,000 ratings, all averaging over four stars. Her highly-rated paranormal romance books, each over 100,000 words, are free to download and read. Her pure love of writing is inspiring. She suggests those who want to financially support her writing contribute to charity instead. [David Weir] Why don't you charge for your books? [Nicky Charles] That’s probably one of the questions I get asked the most by readers and there are several ‘layers,’ if you will, to the answer. First of all, it’s important to point out that I’m very fortunate. Unlike some, I already have a good job and don’t have to use writing to supplement my income. While I’m not rich, I have sufficient [income] to live on and don’t need the money. (The bills are paid, I have a roof over my head, food on the table etc..) Many authors aren’t that lucky. They have to sell their stories to try and make ends meet. I’d rather let readers pay those who actually need the funds than give the money to me. Second, writing is my hobby and I don’t want to turn it into a job. If I charge for my books it will start to involve foreign income tax and paper work and hiring an accountant to sort it all out. (Finances give me a headache!) At this point in my life I’d rather not deal with all of that. Some people seem to think that offering my books for free is part of a gimmick or a convoluted sales ploy, but it’s not. Quite simply, I love to write. I love to paint pictures with my words and to make people feel emotions. I love building a new ‘universe’ and filling it with details to the point that readers actually start to believe that such a world exits. I love sharing my stories with others and hearing from fans and ‘meeting’ people from all around the world. That’s my payback. When people insist that I deserve to be making money off my books, I try to direct them to donate the value of the book to an animal shelter or food bank. (If I was paid for the books, I’d likely be donating most of the proceeds there anyway.) I suppose I have a ‘pay it forward’ type of philosophy. I enjoy writing and getting feedback, people enjoy reading my books, they can pass that joy forward by helping out a charity... Everyone wins this way. [DW] Did you set out specifically to be an independent author or did you fall into this? It all started when I broke down and upgraded to high-speed Internet. I was exploring the wonders of YouTube and discovered some clips from an old TV series called Scarecrow and Mrs. King. The show wasn’t out on DVD at the time, so I began scouring the web for episodes and during that search stumbled upon the world of fanfiction. I never realized people wrote fanfiction and started to delve into that genre. I still recall with stark clarity the day I wrote my first story for that show. I was in the basement doing laundry when I suddenly thought, ‘Hey, no one’s ever written Lee (an SMK character) as going undercover as a biker.’ I quickly jotted the story down and posted it on a whim that very night. Surprisingly, it was well received so I wrote another and another and another... I hadn’t realized how much fun it was to write. Thoroughly hooked, I even joined a fan group for Bruce Boxleitner (the star of the show) so I could share my stories with like-minded individuals. Dialogue tags? Point of view? Whatever was she talking about? I had absolutely no training in writing beyond the basics we all learn in school, and those topics hadn’t been covered to the best of my recollection. I questioned her extensively, did some research and began to try to hone my skills with the sole intention of becoming a good fanfiction writer. After all, what else was there? I never considered the possibility of writing original stories. That was for authors who worked for big publishing houses. In my mind, I was going to write just that one story and then return to my beloved fanfiction. However, once I started I found I enjoyed original stories as they allowed for greater freedom and creativity. One story led to two and, well, here I am! [DW] How did you discover ebooks and indie publishing? [NC] Again, I have to tip my hat to Jan Gordon. I was very naive about ebooks and indie publishing. Quite honestly, I’d never even heard of such a thing! When Jan said she was publishing "Black Silk," I was sure she must have been referring to a traditional publishing house and had submitted her manuscript to one of them. It was quite surprising to learn that she had actually self-published her book. And even more surprising was that this wasn’t a novelty. 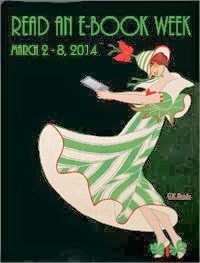 A number of people were accessing self published books and reading them, not only on their computers but on ereaders, a device I was unfamiliar with at the time. I couldn’t believe that an ordinary person now had the ‘power’ to create a book and distribute it all on their own! [DW] Tell us about your first book, how long did it take to write? [NC] Amazingly enough, my first book was written in only about two months! I’m a fast writer and at that time, I was simply interested in getting the story down on paper (or hard drive, if you want to be exact) and I didn’t really focus or even understand some of the finer points of writing. My mind set was write, publish, done. Now I spend much longer working on my books. My stories are more complex, the characters have greater depth and, since each "Lycan" story builds on the others, I have to cross reference my earlier works to ensure my ‘universe’ stays consistent. The editing process has also become more rigorous. I’ve been perusing writing websites and picking up tips on what qualifies as ‘good’ writing. Jan Gordon—who now functions as my editor—reads over my work numerous times and we have lengthy discussions about punctuation, spelling and grammar. Neither of us are professionals but with each book, we’ve tried to improve our skills and keep raising the bar. 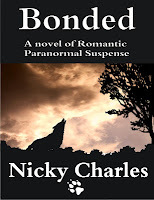 "Bonded" took ten months to write and publish! [DW] Do you remember your first readers/fans and their reactions, and if so, what effect did they have on you? [NC] The first time I received a review, I was so excited. To think that someone had read my story and taken the time to leave a comment! It was a heady experience. I remember reading the message over and over, not quite believing what I was seeing. Then, when fan emails began to trickle in, I was even more amazed and the volume of mail has just continued to grow! "Bonded" was published near the beginning of January and I’ve been averaging about 100 fan emails a week for the past three months not to mention the posts on my Facebook site (I have almost 3000 ‘likes’) and the messages left as parts of reviews. For a while I was almost in tears, it was so overwhelming. I try to answer all messages and there just isn’t enough time. Poor Jan, I was crying on her shoulder several times claiming we’d created a monster and I couldn’t handle being “Nicky Charles, the author.” Thank heaven, she’s good at pep talks! I recall one person who said she was so grateful she had my books to read while waiting at the hospital for her daughter’s transplant. It helped take her mind off how worried she was. Wow. The fact that she took the time to write and tell me that was so moving. I’ve made so many new friends through writing these, too. There’s a group of ladies on Facebook who I’ve become close to, a photographer in England who corresponds with me occasionally, several readers who’ve asked for advice on establishing their own writing career, one lady drops me a line now and then to keep me updated on her schooling—she’s going to be a vet technician. People have contacted me from all over Canada and the USA as well as Spain, England, Australia, Germany, France, Mexico, Ireland, Brazil, Japan, India, South Africa...more places than I can recall. It is truly astonishing that I can sit in my little corner of Canada and touch the lives of people all over the world through my words. And the fact that in some small way I’ve helped people truly warms my heart. [DW] You've described your books as "steamy werewolf novels." Why this particular genre? [NC] Basically, I write what I’d want to read. Real life can be hard. The news is full of tragedy: hunger, war, natural disasters, intolerance... When I manage to find a few spare minutes to sit down and relax, I don’t want to revisit those themes in a book. I want a story that ends HEA—happily ever after. And if the story has a few scenes that make you curl your toes and a bit of a mystery or some suspense, all the better. However, I never considered writing about werewolves until after I posted my first original story on a site called Fictionpress and only a few people read it. I was a bit disheartened and wondered why some stories on the site were getting so many reviews when mine wasn’t. I began to look for themes, to see what was popular, and discovered that vampire stories were all the rage. (I’d never heard of Twilight back then – I truly am ‘out of the loop’ when it comes to pop culture – and still haven’t had time to read that series or see the movies.) Not being too keen on the ‘undead’, I tried to decide what else I could write about that might appeal to readers. For some reason, possibly because Jan had written about were panthers, the idea of werewolves popped into my head. I wrote the first chapter of "The Mating" and posted it as a short story to see if anyone would read it or not. Well, the response was overwhelming. Readers on that site loved it and wanted more so I decided to continue the story. Near the end of the book, a supporting character named Ryne made an appearance and captured my imagination. While I’d really only planned on writing one werewolf novel, my muse had other ideas. I wrote Ryne’s story in "The Keeping" and then, near the end of that book, a character named Cassie appeared, so of course I had to deal with her and thus "The Finding" came to life. Before I knew it, a series had been born! [DW] As you start a new book, do you have a pretty good idea how the plot will go, or does it emerge as you write? [NC] I generally have an idea of how it will start and end but the middle of the book is often quite vague and poorly formed. Certain scenes might be floating around in my head and I’ll try to jot the plot down in point form. However, the finished product is often very different from the original plan. Things I thought would work, don’t fit, or a new scenario pops up. In a way, writing a story is almost like reading a book—you never know what might happen next. [DW] How do you create the characters in your stories; are they fairly pre-formed, or do they take surprising turns during the writing process? [NC] When I create my main characters, it’s often a certain personality type that catches my attention; maybe someone young and naive, or an impulsive person or perhaps a strong individual with an inner sorrow. I want to explore how they’d react to certain scenarios. As I begin to write, I have a general idea of what the character will be like with regards to major personality traits, job, where they live etc. Sometimes I’ll scour the Internet looking for a picture of someone who matches my mental image, so I have an ‘anchor’ to refer to when writing about their appearance. Then, as the story progresses, the character’s background emerges and it can form the person in unexpected ways. And, of course, some characters can become quite demanding in what they want! For example, "Bonded" was supposed to be a novella that provided a back story for Damien (a character introduced near the end of "The Finding.") Reno was supposed to be a minor character but whenever I tried to write a scene, he wouldn’t stay on the sidelines and kept becoming the main focus. After several attempts to force the story to go the way I’d planned, I threw up my hands in despair and concentrated on Reno. It turned out he wasn’t just the tough guy he appeared to be on the outside. The more I wrote, the more I realized he had inner scars that shaped him and affected the choices he made throughout the story. By the time I was done with the book, he’d moved from a one dimensional, secondary character to one who was quite complex. I can honestly say that I love all my characters. When I’m writing their parts, I become them, thinking as they do, feeling their hurts, their anger, their excitement. Sometimes I catch myself as I’m typing away and realize my face is contorted or tears are spilling from my eyes because that’s what the character is doing in the story in that particular scene. It can be quite emotionally exhausting. By the time a book is completed I know them so well they are like close friends or family. I think that’s one reason why I have characters from earlier books make cameo appearances in newer stories. I don’t want to let them go! [DW] How has your personal writing process changed as you've gained experience? [NC] I can’t believe how much I’ve learned over the past few years. As I said previously, I’ve had no ‘training’ in writing per se. But I take what reviewers say to heart, not just the good but the bad as well and try to grow with each book. If someone doesn’t like my book then obviously something isn’t working. At times it’s just because my style doesn’t fit theirs, but other times it can actually be a problem area I wasn’t aware of. I like to think I’m a reflective writer who is always trying to improve. In the beginning, my writing was all about plot. I didn’t really care that much about the proper use of commas or how many times a character explained their thinking. Now I’m watching for ‘thought-a-logues’ and ‘showing not telling’ and trying to write more realistic dialogue. I never realized there were so many ‘rules’ with regards to writing fiction. My manuscripts are read over and over and I’m constantly tweaking here and there, bumping up the description—I love description! On the other end of the scale, I hate editing with regards to grammar, spelling and punctuation. Commas are evil and their proper use drives me crazy! And spelling—oh my! I want to use Canadian spelling because I’m proud of my country and want to promote that fact. However, Canadian spelling is a strange mix of British and American and with the US being right next door, a lot of Americanisms have filtered across the border and into my daily repertoire. Jan and I have spent countless hours researching certain words trying to determine which spelling is the ‘most’ correct. Working with graphics is a skill I’ve also developed through all of this. For "The Mating" I simply used a textured background but now I’ve become much more experienced. Since this is a hobby I try to keep expenses to a minimum and search for public domain, royalty free images rather than buying cover art. I then alter the pictures using my favourite programs Corel Draw and Corel Paint and have become quite adept at layering images, adding transparencies, altering the colour balance, applying hues, cropping etc.. It’s actually quite fun to see what you can do and to try and get the perfect look. I believe that for "Bonded," I had over thirty mock ups before I got it right! There is one area of ‘learning’ I’ve experienced that I wish I hadn’t and that is copyright law. While it’s a good thing to know, the reason I had to expand my knowledge base wasn’t. Since writing "The Mating" it has been plagiarized over ten times on various writing websites. The plagiarists, I believe, are usually teens—it’s sometimes hard to tell from their profiles—who want the attention of having people think they are authors. Some change the name of the characters while others just copy the text word for word. 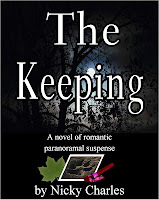 I even had one enterprising individual photoshop the cover of The Keeping and insert her own name to use as her profile picture! These are more annoyances than real problems and I regularly do a Google search for my books and send out DMCA takedown notices when needed. I think because my books are free some people believe I don’t care what happens to them, but I do. They are my books and while I might give them away, I’d at least like to be acknowledged as the author! However, recently a bigger problem has come to my attention and that is ebook piracy. Three times in the past few months I’ve found copies of my free books being sold by someone pretending to be me. I’ve never received a penny from these sales and feel badly that my readers have been tricked into purchasing something they could have received gratis elsewhere. I’m currently in dialogue with the site’s representatives trying to ensure that my readers have received refunds and that steps are being put in place to prevent a recurrence of this situation. Ebook piracy is a growing problem not just for me but for all authors. Smashwords author, Ruth Ann Nordin, even wrote a book about the subject (They Stole My Book) which is a free download on the site. All authors need to be vigilant and regularly search the Internet for illegal copies. They should also become familiar with the Digital Millenium Copyright Act and know their rights with regards to their intellectual property. [DW] In the future, will you start charging for any of your books? [NC] Not for the foreseeable future, however I’ll never say never. Perhaps when I retire it could be used to supplement my income. Or if I lost my job or had some other form of economic reversal, I’d use my writing to help pay the bills. At times I think I could use the money to help my community build a new animal shelter—they’re in desperate need of one—so it’s a thought in the back of my head, but right now I don’t see myself acting on it for the next few books. Several people have asked for print copies of my stories and I’m starting to explore POD publishing. If I ever go that route, then of course, I’d have to charge to cover the expenses. [DW] Do you expect to continue writing in the same genre in the future, or explore others? [NC] I think I’ll always be writing some form a romance—I’m not into horror or crime or historicals. However, I won’t necessarily stick to werewolves or even paranormal. It all depends on what strikes the fancy of my muse. I’m very visual and when I see a picture or scenery or ‘people watch’ it often sparks an idea and then I’m off jotting down notes for a possible plot. They don’t always involve shifters. [DW] Any advice for others who would like to try writing and publishing indie books? [NC] I get lots of emails asking this very question and I always tell them that if they have the desire to write and share their work, then go for it. Having others read your work is incredibly rewarding and indie publishing is actually quite easy. Sure, you can try to get accepted by a big publishing house but the statistics aren’t encouraging. Many don’t accept unsolicited manuscripts. I read somewhere that less than one percent of submitted manuscripts are ever read and only about one percent of those are ever published. If you are one of the lucky ones, you have to work within the publishing house’s guidelines for the number of words, what content they want you to add or delete, meeting preset deadlines etc.. And when your book is finally ‘out there’ you earn less than ten percent royalties and could very well lose the rights to the characters. As an indie publisher however, you are the boss. 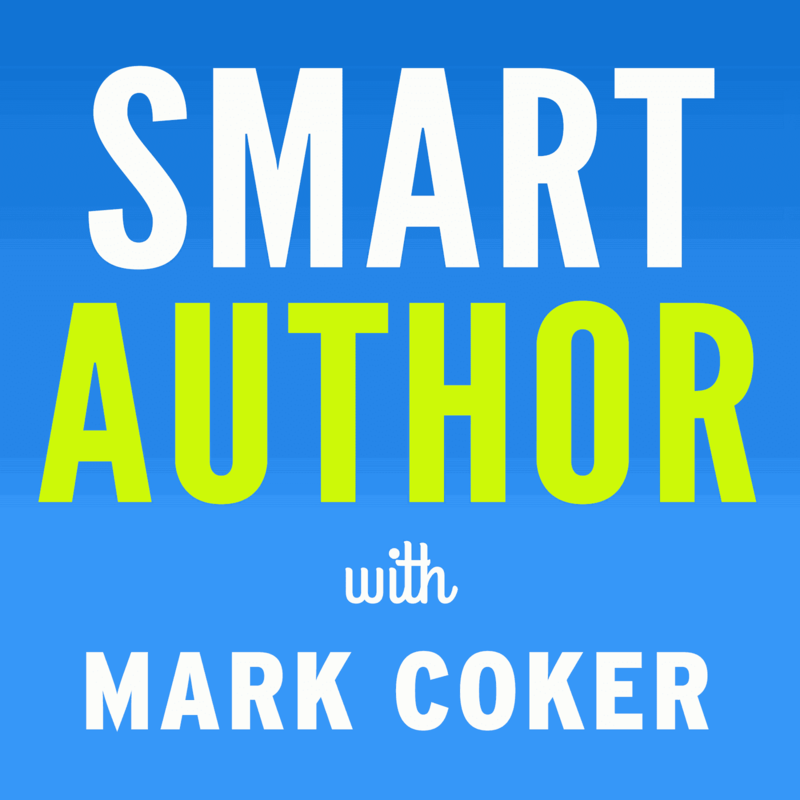 You decide the book length, the content, the cover image, when you publish, what price you’ll charge, where you’ll distribute. Every step of the process is under your control. Of course, before you consider publishing, make sure you have a good product. I encourage aspiring authors to try and find someone who will give honest feedback. I was fortunate in that Jan found me and pointed out my short comings as well as my strengths. Too often friends and family try to be kind (or don’t know what to look for) and simply say, ‘hey, this is good’ when in reality the story needs a lot of work. Join one of the many online writing sites and find a good, knowledgeable person to critique your work. Then, be prepared to write and rewrite and rewrite again so that you are publishing the very best book you are capable of. Do some research on writing forums so that you avoid common pitfalls like “telling rather than showing”, or mixing up points of view. Watch out for punctuation and grammar and don’t just rely on spell checkers. Once your work is ready, download Mark’s Style Guide. If you’re not familiar with all the features of word processors, it might seem daunting at first but the book is actually an easy read and outlines step by step how to format your book for publishing. Also be prepared to promote your book through social media such as Facebook or book blogs. Smashwords has a marketing guide as well. Be careful. There are a lot of self-publishing websites out there that just want your money and some will charge you for services that should be free. Smashwords is an excellent company to go with. It’s reputable and really cares about the authors that publish through them. They also have an excellent distribution network and I know one of the main reasons my books have gained so much popularity has to do with the fact that they are available through popular sites like B&N and the Apple iBookstore. Once your book is published, sit back and enjoy the experience. When the first review or fan mail arrives, it is one of the best feelings in the world! Coming up: Interview with an up-and-coming writer of authentic westerns, and an interview with a New York Times bestseller! Nicky, as a fellow author I can tell you, no writer can please everyone. It's impossible. As great as your works are there will always be people who think they could have been better. Don't let the negative feedback weigh you down. Learn what you can to improve your craft, but don't take it personally when people don't like what they read. Thank you for your insight. I've always liked to write but never necessarily wanted to sell my books. I really like discussing the stories and seeing what people thought of it. I'm glad I'm not the only one who feels like that. Thank you for staying true to yourself and what you like to write and not selling them no matter what anyone said or thought of you. People will always think there is an ulterior motive. I'll check out one of your books soon. I'm glad for ebooks too and Smashwords who lets me upload my books for free. I still like the feel of a paper book, but ebooks are growing on me because I can instantly find thousands of books without waiting. Keep writing for enjoyment and please don't let it stress you out. Jan sounds like a really good friend to have. Thank you for the insight. I often wondered why the books were free, they are so well written and the characters are believable. I agree, lovely philosophy. I love the ways she answers this question, which is one I also get asked a lot myself, since I do the same thing, and for the same reasons. She says it so well! 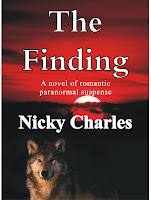 I fell in love with Nicky's books by chance of seeing a free download. I wasn't even into paranormal. She has changed this for me. I get to escape from my life. I'm grateful. This is such an open an honest interview. I thoroughly enjoyed it and learning more. I'm not nearly as talented or successful as Nicky, but that's basically my strategy as well. I have six free books and no plans to start charging ever. I am in love with the books. I found them just searching for different types of books on Barnes and Noble. After I read the first one I was hooked so I ended up downloading all of them. I think its awesome that you just love to write and its not about the money to you. I really hope you come out with another one soon. Just came upon this interview. I was hooked from The Mating. THanks for your books, I really enjoy them.